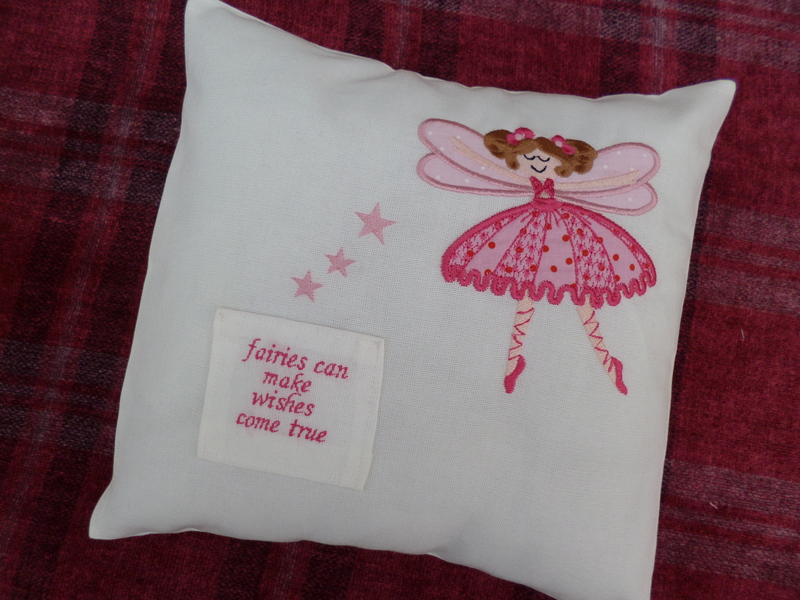 These are high quality linen cushions which are individually made to order. 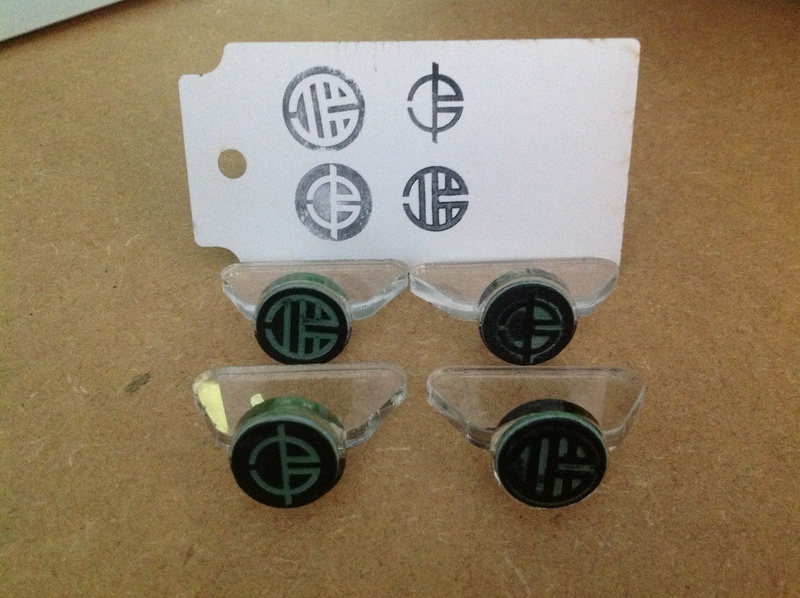 We are very happy to discuss your requirements for these. 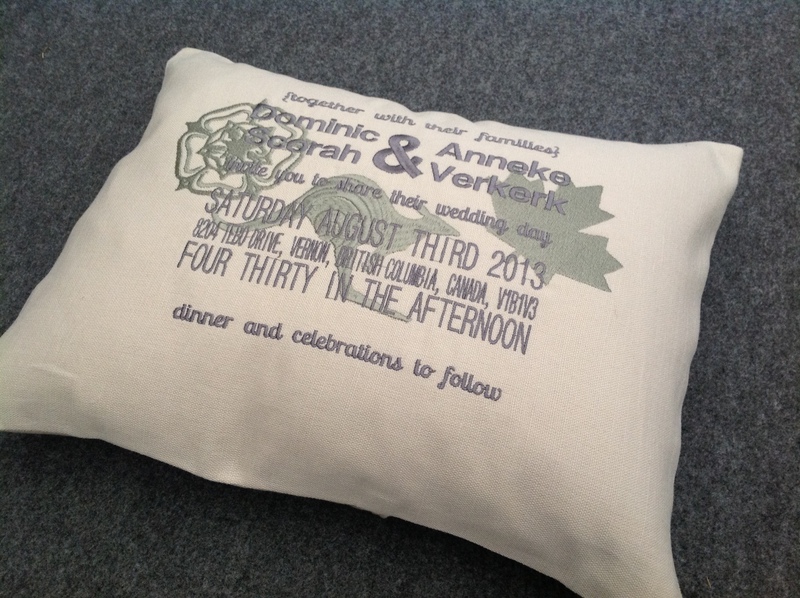 These cushions start from £35.00 and include the pad. 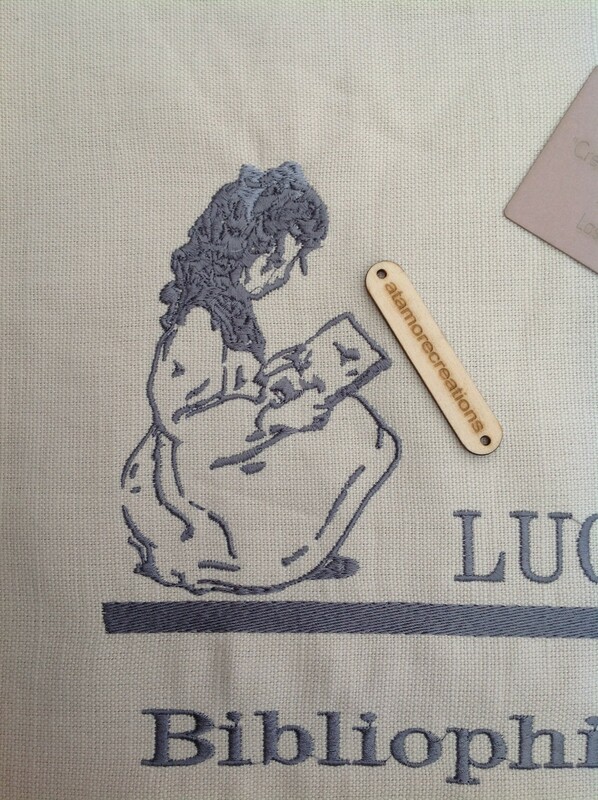 Detail of a cushion for an avid reader in Canada. 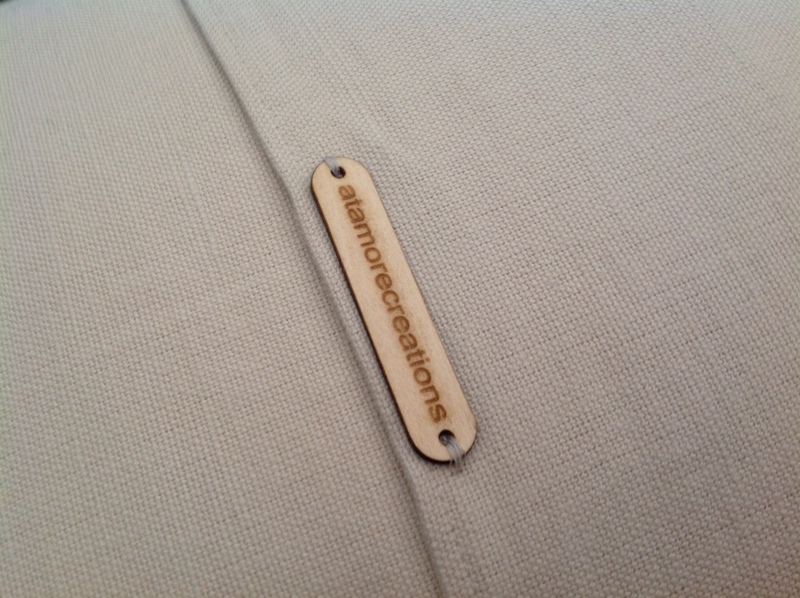 Each cushion is finished with out laser cut wooden tag. 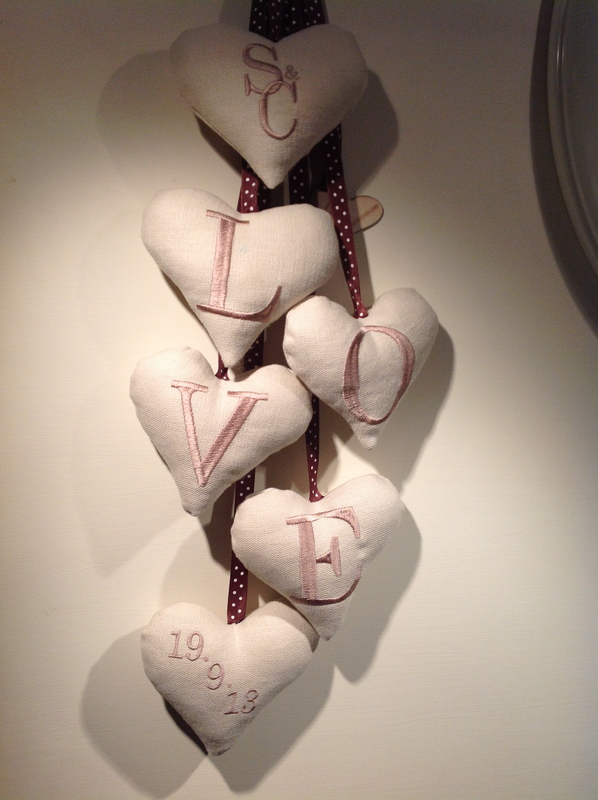 These are a set of personalised hearts made from the same linen as we use for the cushions. They are aset of 6 each one embroidered. 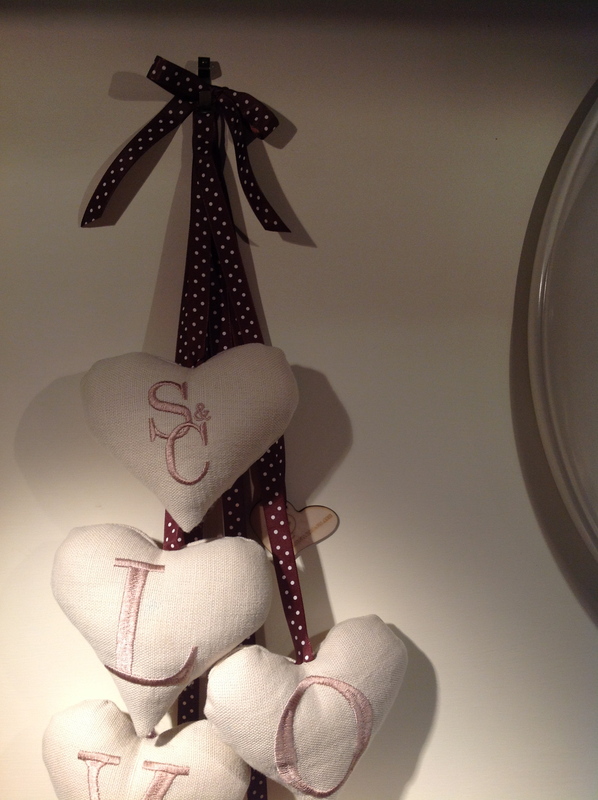 Two from each set can be personalised with initials/name and a date. Ribbon colour and pattern can be varied to suit embroidery colour. 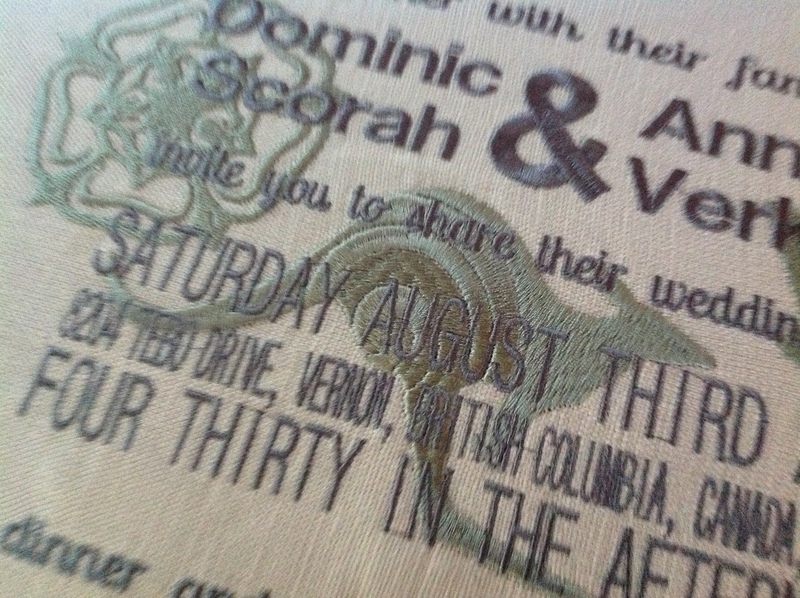 The fabric is laser cut, machine sewn and hand finished. £25 for the set plus postage. 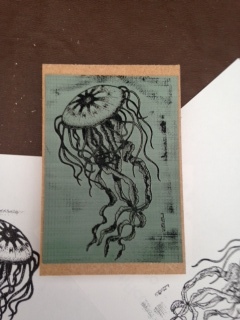 This is something new for us and started from a request from a local artist. We can take almost any image and convert this into a high quality detailed stamp made from eco laser rubber or standard materials. Please contact us for prices. 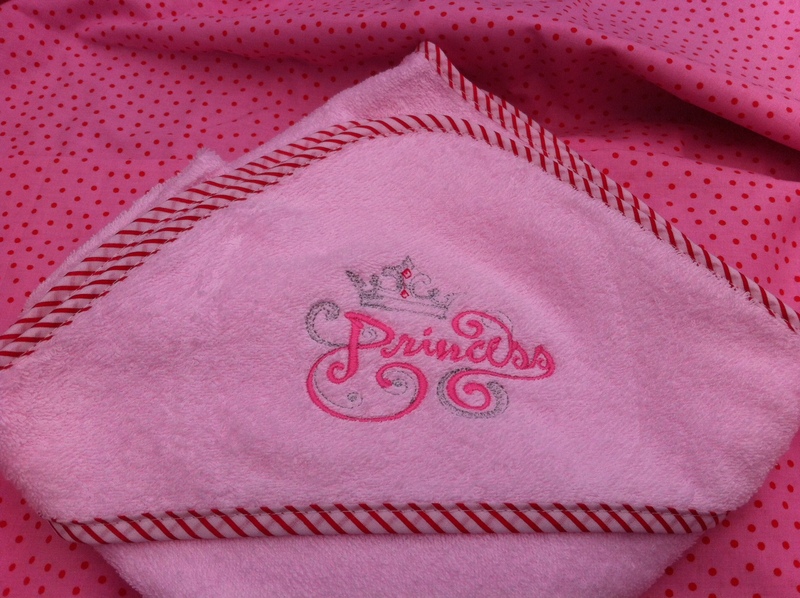 Lovely soft hoodie bath wrap available in blue or pink with Prince or Princess image and the child’s first name below. Keep your baby warm while you dry after the bath time fun! Suitable for use from birth. 100% cotton with taped edge. Machine Embroidered on white linen 30cm square approximately complete with hollow fill fibre pad. 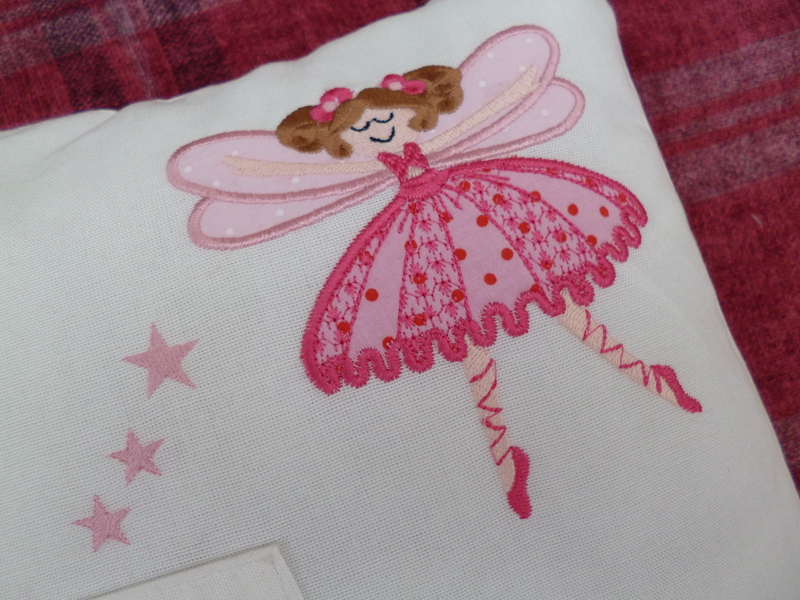 Beautiful handcrafted toothfairy cushion with appliqued fairy design in quality fabrics and cottons with a little pocket to hold the tooth while waiting for the special visit! 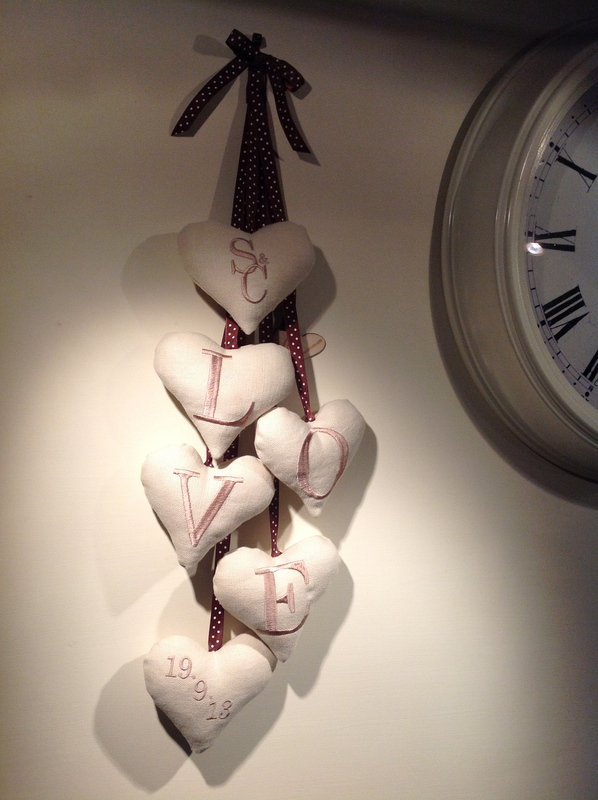 These cushions are made to order, gift wrapped in environmentally paper and brown string and a tag. Price:- £20.00 plus UK Mainland Postage of £4.00 International postage please ask for a quote. 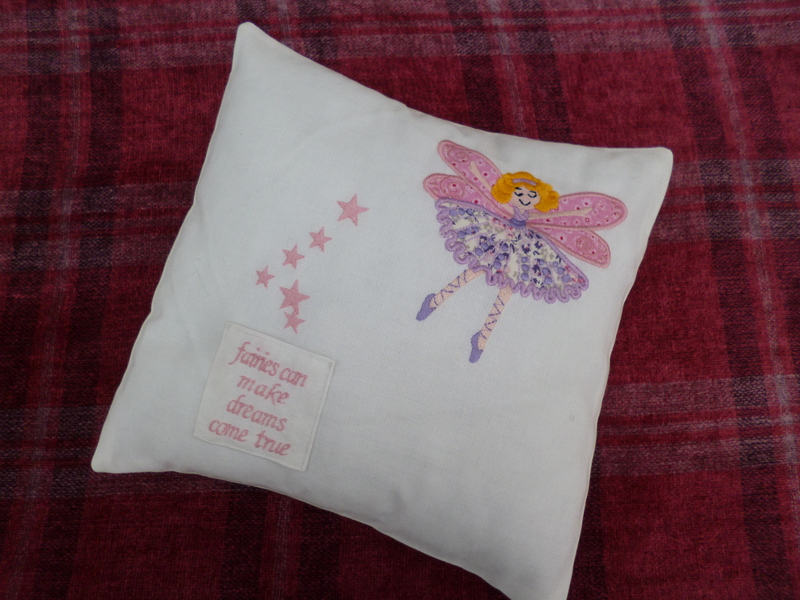 For an additional charge of £2.00 this cushion can be personalised with a child’s first name. To order please email us via our contacts page.